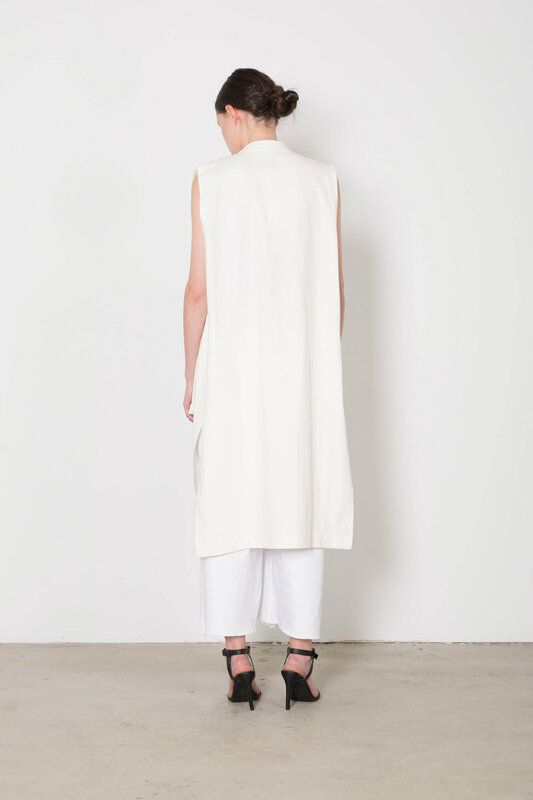 Made from a linen-inspired pure cotton fabric, this vest can easily become a classic staple for your spring and summer wardrobe. 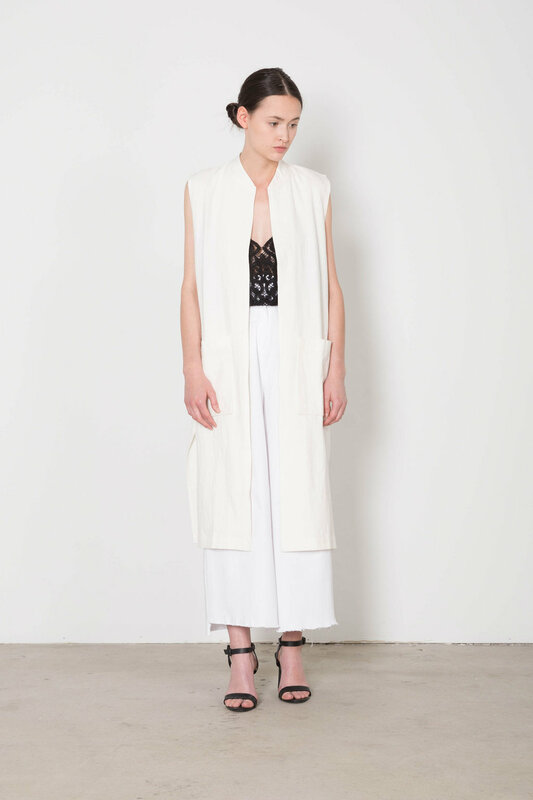 With side slits and large front pockets for function, this versatile vest is the perfect layering piece for a breezy day. 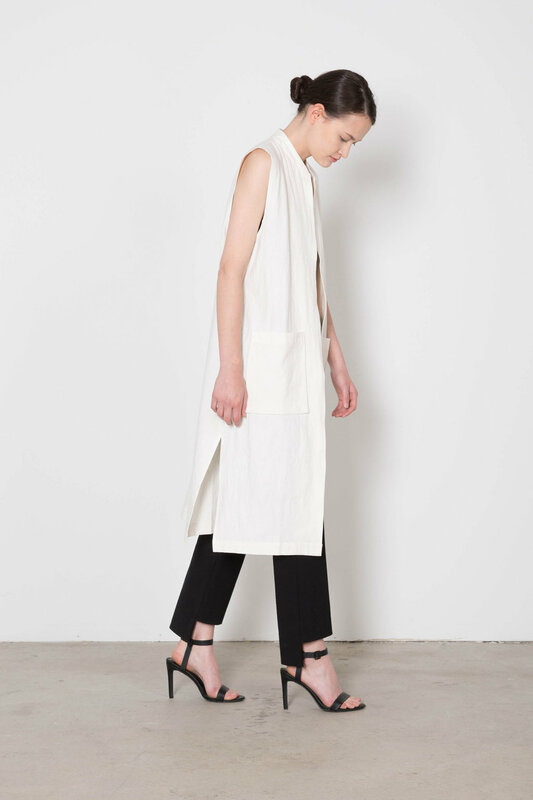 Dress it up with your favourite summer dress and heeled sandals or dress it down with a pair of white sneakers. Fabric Content: 100% Cotton Care Instructions: Machine wash cold, lay flat to dry, cool iron. Fit: Relaxed Approximate Measurements: XS: 42" bust x 42" length S: 44" bust x 43" length M: 45" bust x 43" length L: 46" bust x 44" length Model's height is 5'9". Model wears a size small.